The taking over of the Iraqi city of Kirkuk by the Iraqi army in October has changed the balance of power in the oil-rich town that both Baghdad and the Kurds claim. The operation was part of sanctions imposed by Baghdad after the Kurds held an independence referendum that has since been declared illegal. 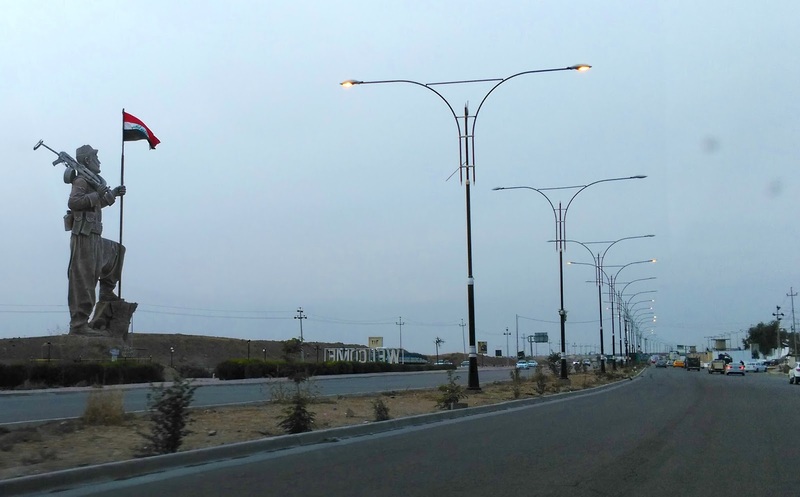 In Kirkuk, many signs of the three years of Kurdish control have already been erased. 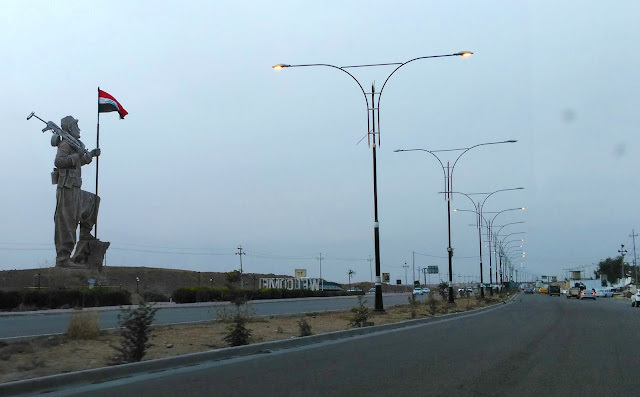 The pictures of Kurds who fell in the battle against the Islamic terror group ISIS have been replaced by images of Iraqi martyrs, and the twenty-meter tall statue of a Kurdish peshmerga fighter on the motorway into the city now carries an Iraqi flag. Even more important, however, is the resumption of the Arabization process, says Awad Amin, an independent Kurdish member of the Kirkuk Provincial Council. Kirkuk is a mixed city which is shared between Kurds, Arabs, Turkmen and Christians. Politically, the Kurds were a majority and held the governor’s post, but the deadlock over new elections, power sharing, and the status of the disputed city has remained impossible to break. Since the Iraqi take-over, the departure of the governor and a number of Kurdish politicians has changed the political balance of power. In the Seventies and Eighties, the Iraqi dictator Saddam Hussein confiscated hundreds of acres of agricultural lands from the Kurds and gave them to Arabs whom he lured from southern Iraq in order to Arabize the area. Yet the Kurds consider Kirkuk Kurdish and call it their Jerusalem, the capital of a future independent Kurdish state. The new Iraqi constitution introduced after the dictator’s removal in 2003 includes clauses relating to the reclaiming of stolen lands. But the process has been difficult and slow. Most recently, Iraqi police were involved in threatening Kurds in the village of Palkana in Kirkuk Province. They ordered them to leave their homes within 72 hours, since members of an Arab tribe were waiting to take them over. After urgent complaints, the authorities in Baghdad prevented this from happening. The threat is acute because the Kurds have lost their own security forces, who were partly evicted when the Iraqi army took over on October 16. “The government of Iraq was acting from the victory over ISIS, when retaking disputed areas,” says Amin, echoing the loss many Kurds feel after almost half of the territories under their control were taken back by Baghdad to punish them for holding the referendum. But according to Rawla Hamid al-Obeidi, a member of the Arab Committee on the Provincial Council, the Kurdish forces cannot return. “They caused many problems here. They were tied to the Kurdish parties and working to further their interests. We are against those kinds of forces.” Yet the Shiite and Sunni volunteers with the Hashed al-Shabi militias are connected to political parties in more or less the same way. While the Kurds complain about Arabization, the Arabs accuse them of Kurdification. Now that Kurdish rule has ended, Al-Obeidi is working on taking the Peshmerga to court over the destruction of Arab villages in the battle against ISIS. Human Rights organizations have reported that dozens of villages in the Kirkuk province were razed and flattened and its inhabitants expelled. While the Peshmerga branded them ISIS-villages, the operation was seen as a move by the Kurds to take over disputed areas. Some 82 villages were destroyed, says Al-Obeidi, and over 22 000 people were displaced and made homeless. “The Peshmerga trespassed on the rights of the Arab people living there.” She wants to bring the matter to the international courts, so those responsible will be punished, and she mounted a campaign to help the villagers to go back home. The first weeks after the takeover saw many revenge attacks. And because many people have bought arms, citizens are wary of what will happen next. The first signs of future violence are already there: following the looting and destruction of thousands of Kurdish homes after their owners fled the nearby Turkmen-Kurdish town of Touz Khurmatu, a Kurdish resistance group has been formed to fight the Shiite militias controlling the area. Awad Amin agrees that the problems between the groups have been aggravated. “The different groups are moving further and further apart.” That goes for politics as well – the Provincial Council cannot meet since the Arabs and Turkmen are boycotting its Kurdish members.